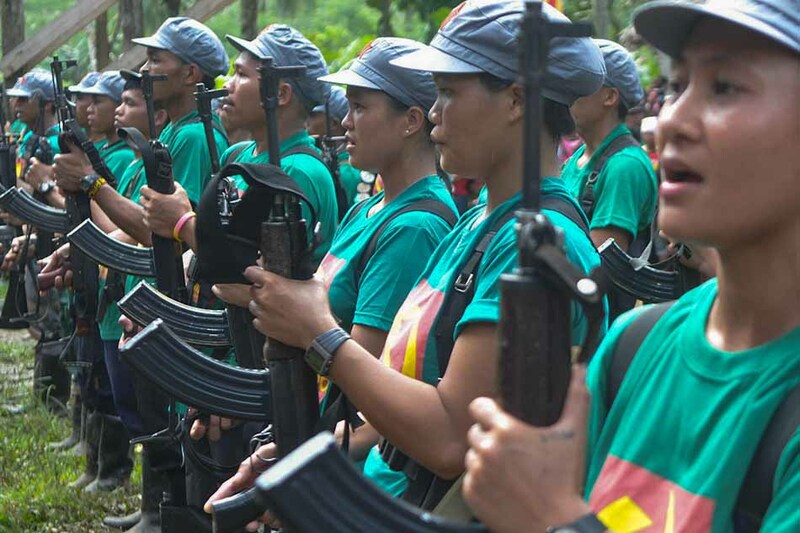 MANILA (UPDATE) - The Communist Party of the Philippines (CPP) and its armed wing, the New People's Army (NPA) on Friday declared a 7-day unilateral ceasefire following the temporary release of their members who will take part in peace talks with the government. The CPP, in a statement, said the ceasefire will take effect starting 12:01 a.m. on August 21 and will last until 11:59 p.m. on August 27. Communist and government negotiators will have formal talks in Oslo, Norway from August 22 to 26. Rebel leaders Benito and Wilma Tiamzon were freed on bail Friday, joining 17 other National Democratic Front (NDF) consultants granted temporary freedom so far to join the peace talks in Norway. "Our release is a goodwill measure and creates an environment conducive to peace talks. We thank President Rodrigo Duterte for ordering our release,'' Benito said in a press briefing. The CPP, in its statement, reiterated its "deep appreciation of the determined efforts of GRP President Duterte to push forward and accelerate the GRP-NDFP peace negotiations as a means of addressing the roots of the civil war in the Philippines." "We hope that this ceasefire declaration will be reciprocated by the GRP as a show of all-out determination to move forward with peace negotiations," it added. The CPP said its armed wing will remain on alert during the ceasefire period. "Even while ready to engage in defensive action, the NPA will exert efforts to carry out early counter-maneuvers to avoid armed encounters during the specified ceasefire period," it added. "To further bolster peace negotiations, the CPP and NPA are also open to discuss the possibility of a longer ceasefire upon completion of the release of all political prisoners," the CPP said. The CPP issued the statement, even as the military on Friday reported two separate NPA attacks in Batangas and Aurora provinces. The Armed Forces' Northern Luzon command said an undetermined number of communist rebels fired at two motorboats in Barangay Umiray, Dingalan, Aurora during a gift-giving event for public school students on Friday morning. One soldier was killed while two others were wounded in the incident. Meanwhile, three Citizen Armed Force Geographical Unit members were injured in an NPA attack on a military detachment in Laiya Aplaya, Batangas province on Thursday, the military said.